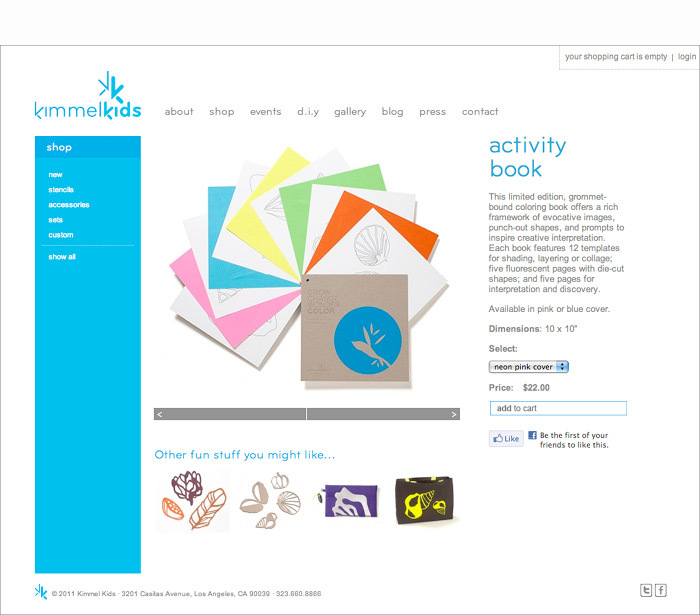 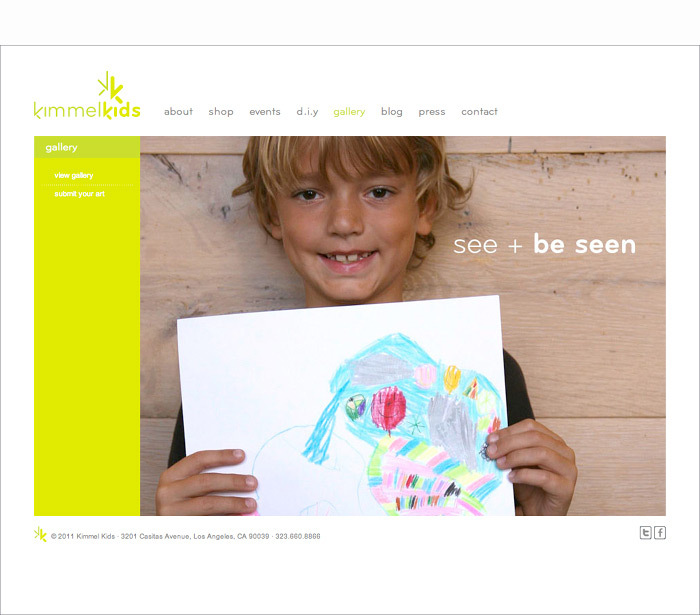 This extremely comprehensive website includes: interactive home page, demonstrating the Kimmel Kids signature stencils; store, portfolio of events, showcase of D.I.Y. 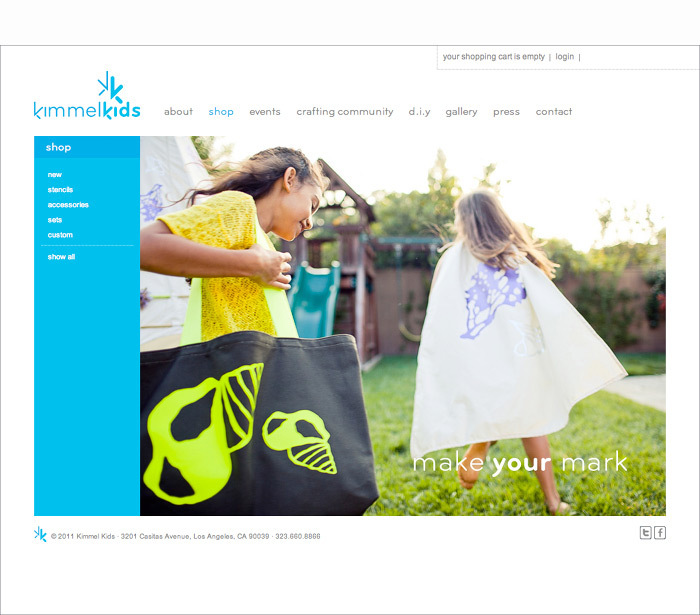 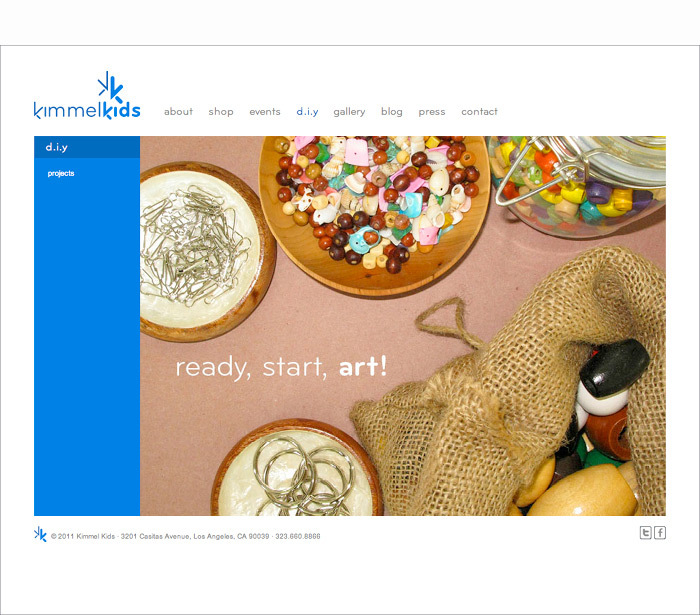 projects, and a gallery of art created with Kimmel Kids products. 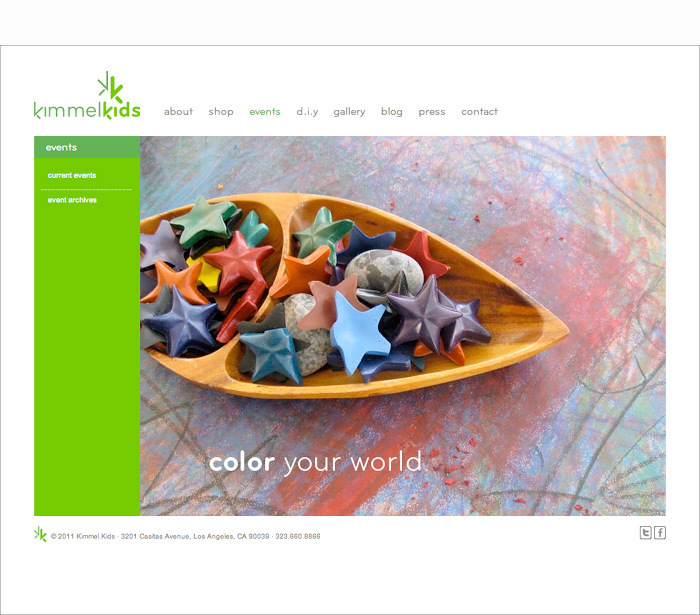 My role included design, writing/editing, and project manager for web development.